The one ounce 24 karat gold bar is popular with investors worldwide and is one of the most cost-effective ways of buying precious metals. Each one of the gold bars offered are refined to the highest standards of .9999 fine gold. Our assortment were all struck from 24 karat gold and have the exact purity and weight stamped on it before being sealed, which ensures its safety and security. Each 1 oz gold bar has a unique design depending on the hallmark. Most of the hallmarks include their logo, weight, purity, and a serial number of the bar on the obverse. The reverse side typically has the logo or a design repeated diagonally. The PAMP Suisse bar is the only 1 oz gold bar that doesn't follow this traditional look. Instead, this bar features the Lady Fortuna on the front and the weight, purity, and logo information on the back. The 1 oz gold bar you will receive will be our choosing, based on the availability we have at the time of the order. Each bar will come packaged and sealed in the assay card. 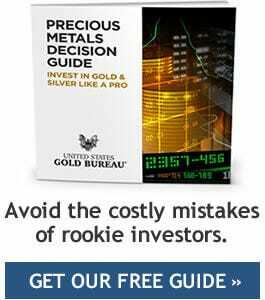 Why Invest in this 1 oz Gold Bar? We offer a variety of ways to invest in precious metals. If you're interested in investing further in gold bars or coins, browse our website to see our extensive range of precious metal products. Investing in precious metals or investment grade diamonds could help to secure your financial future. All of our products, whether coins, bars or diamonds, are wrapped and packaged with care, ensuring a safe delivery to you. Some of the precious materials we offer can be held in a self-directed IRA, providing you with the associated tax benefits. Additional paperwork would need to be completed at the time of purchase. Please contact us for further details. Are You Recession-Proof? Protect Your Wealth with Gold. Do We Put Too Much Faith in Paper Currency?